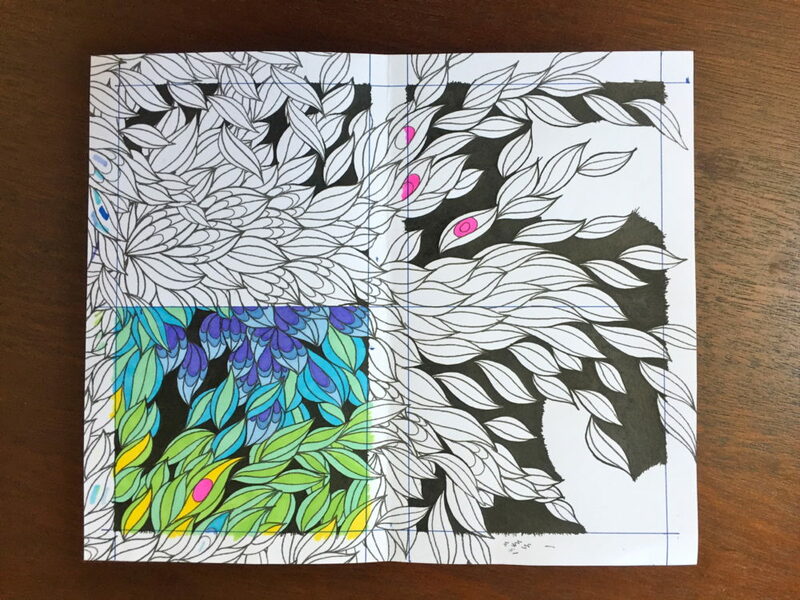 At first, I wasn’t sold on the idea of adult coloring books. I thought they wouldn’t be enough of a creative outlet for me. But I always looked at them anyways. Then I found one that I loved, “Color Odyssey” by Chris Garver, so I decided to give it a try. 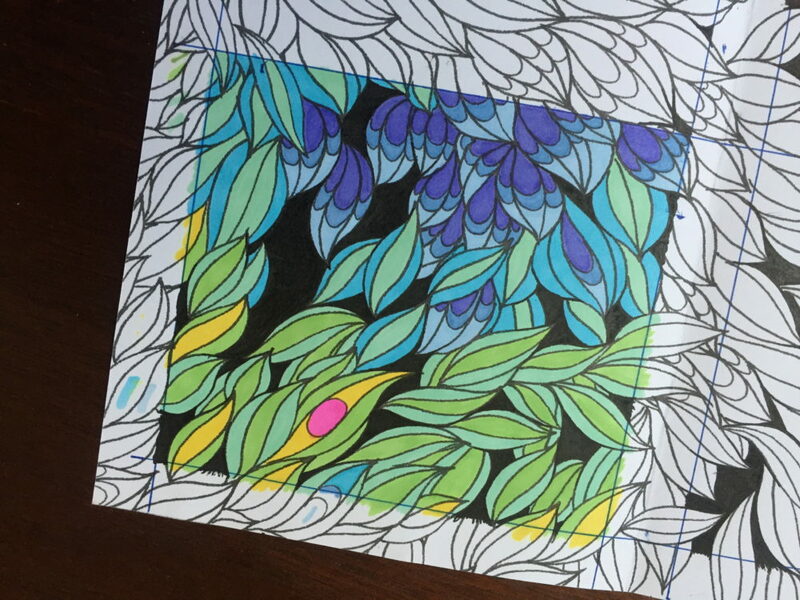 And now I love my adult coloring book. Its pretty nice to just do some mindless coloring, without focusing on an end state. Above is a page I tore out and carried around in my sketchbook for months, working on it a little here and there. I love how the warm colors of the flowers really pop against the blue background. Below is a page that I’m using to experiment with different color combinations. 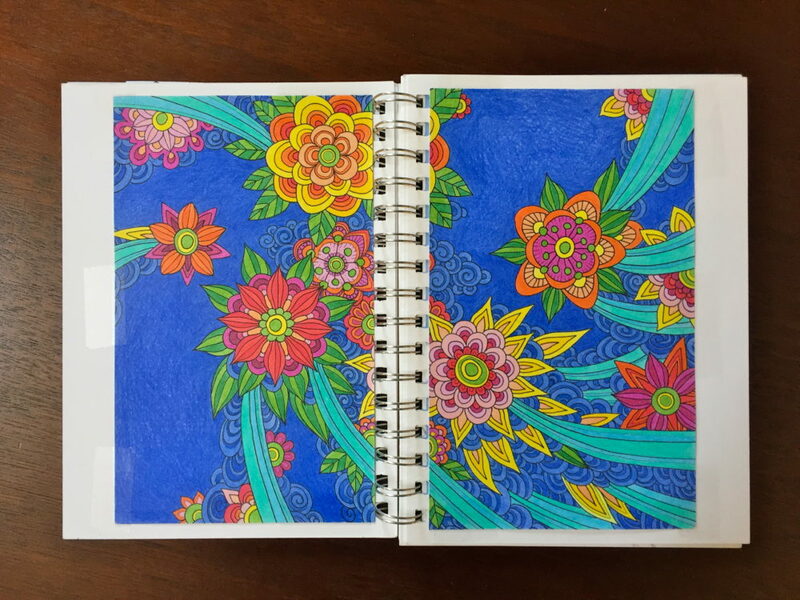 Have you tried adult coloring books? What was your opinion of them? This entry was posted in Art, Sketchbook on January 30, 2017 by RyanMcGurl.